I LOVE using scalloped punches and now TAC carries both the square and circle ones in two different sizes!! I was so excited to see these in the newest catalogue. Right now I only have the circle scalloped punches so I wanted to show you a project or two made using these. The card above is made using a Christmas set! I love when a set can be so versatile that you can use it year around!! 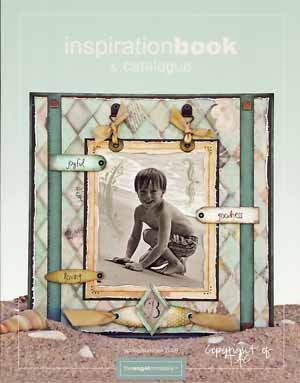 The idea for this card was inspired by a scrapbook page featured in the newest TAC catalogue on page 94 by Mary Leeson. I loved how she used the scalloped punches with the "Simply Christmas" stamps to make flowers! What a cute idea. I adapted the idea a bit and this is what I came up with. Very simple! I sponged Violete Palette ink around the scalloped circle punch and then punched tiny holes around the scallopes. I also used the Prisma glitter available through TAC to add glitter to the "Joy" piece. The paper is from the Lilly Anne paper collection and the swirl in the center is from the "Curls & Swirls" set. I also punched three small holes in the bottom paper strip and then used my white souffle pen to add the white outlines--it almost looks like there are eyelets in the strip. To finish the card off, I took my Brilliance Moonlight White ink pad and made an edge around the entire card. This is a 2, 4, 6, 8 box and is SO simple to make!! They go together so quickly and are just the perfect size to put a small gift in--including candy and gift cards, etc... I used the mega scalloped punch to punch the black scalloped circle and other regular circle punches to punch the other 2 circles. The stamp on the white circle is from the "Floral Dingbats" set and is stamped to match the box (although it looks gray in the photo) with Aqautic Splash VersaMagic ink. The background is stamped using "Artsy Elements" and VersaMark ink. The saying in the middle is from a previous hostess set "Something for You" which will be retired after today. I'm sure that you'll be seeing a lot more projects made using these punches in the weeks to come!! The NEW TAC Catalogue is HERE!! I am SO excited!! The newest TAC catalogue is finally here!! I LOVE it!! 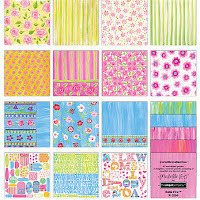 The cover is gorgeous and there are so many new fun stamps, papers & accessories! I've made my wish list already and it is LONG! We have 2 sizes of circle & square scalloped punches! I am in love with these things!! I think that you'll love them too! We have some beautiful new paper lines too!! There are several other sets, including an alphabet Level D hostess set, that use this same style. I LOVE these!! Well, that is a SMALL sneak peek of some sets that I am very excited about!! Don't forget, catalogues are only $5! Here are a few cards that I designed this morning while being home from church sick. They both use the same layout and the same colors but they both serve very different purposes. I wanted a clean and simple design. This layout could be used for almost anything! This next card was stamped with TAC's "Circle Sampler" in Aloe Vera VersaMagic Ink and "Trendy Greetings" in Ocean Depth VersaMagic Ink. The leaf at the top of the card is from the "Keep Smilin'" set and is stamped with VersaMark ink. I added white dots around the scalloped circle using my white souffle pen. So, there you have it! Two simple, simple cards using the same layout and same colors for two different looks! There are several December specials that are available through The Angel Company! 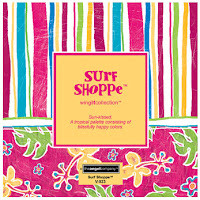 Keep away the winter "blahs" with a bright burst of spring color and the exclusive Tutti Frutti Kit & Kaboodle Special offered by The Angel Company! This special is available from December 3rd - 28th, 2007. 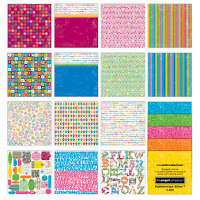 The kit includes the Tutti Frutti Soar With It paper collection and the Frutti Words Limited Edition Stamp Set all for $25.95. This is a savings of almost $10! Click HERE to see the entire Tutti Frutti Promotinal Flyer. 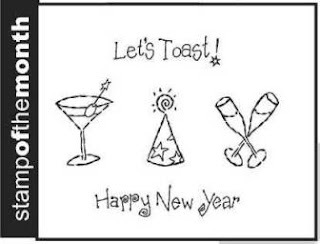 The SOTM for December is called "Let's Toast". It is a set of 5 and can be yours for only $1.95 with every $30 order! Yes, you read that right...it's only $1.95. This offer is only good through December 28th! Click HERE for samples using this set. "Snowflake Blocks" is another customer favorite that has been brought back from a previous catalogue only through the end of December! 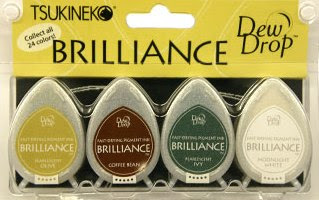 It retails for $10.95 but can be yours for only $6.95 with every $30 order during December! Isn't this a cool set?? Don't forget that there are still some paper packs on clearance (while supplies last). They are approximately 50% off of the retail price! The new catalogue will be released soon--January 1st! Can you believe that it's that time already?? In honor of the new catalogue release I am offering a FUNshop Hostess Special during the month of January! Do you want to be one of the first people to view the new catalogue? Do you want to share the excitement of the new catalogue with your friends and family? January is the perfect time to host a FUNshop!! If you schedule your FUNshop now for January (this offer is only good through me!! 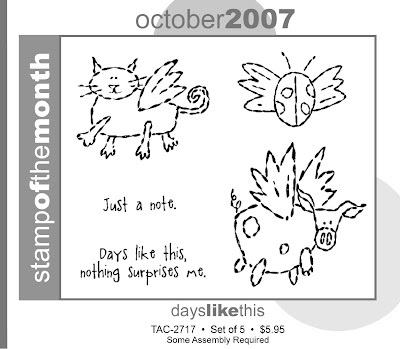 ), I will give you a $5.95 stamp set FREE!! Better yet, you can choose from any of the sets in the new catalogue! This bonus will be on top of any hostess benefits that you will already receive! So, you'll earn free hostess sets, 1/2 price items, items at 20% off AND another FREE $5.95 stamp set of your choice from the new catalogue!! We all need a break after the holidays and hosting a FUNshop provides a nice "Ladies Night Out" experience with your friends and family! Let's take a break from our busy schedules to do something FUN!! Contact me BEFORE December 25th to schedule your FUNshop and to earn the free stamp set!! As I was looking at some blogs last week for some Christmas inspiration, I came across a card that I just loved! It was by Heather Nichols and you can view it here. I wanted to do a similar card but incorporate TAC stamps into the layout. I love how the card turned out! I used all TAC Bazzill textured cardstock except for the ivory piece which is TAC's Ultrasmooth Ivory cardstock (GREAT cardstock!!). The word "Rejoice" comes from the TAC "Whimsical Greetings" set and the rest are from TAC's "Deco Designs" set. I love being able to use non-Christmas stamps to make Christmas cards because then you can use the set all through the year and not just for Christmastime! The word "Rejoice" has been stamped with Burnt Umber Palette ink. The leaves are stamped with Landscape Palette ink and the "flowers" are stamped with Bordeaux Palette ink (one of my most favorite colors of Palette ink--if you don't have it, get it!! It's gorgeous!!). You'll notice that I stamped the main image in the left-hand corner. I then reinked the stamp, stamped it once or twice on scrap paper and then stamped it again on the ivory cardstock for a very light watermarked look. After I finished stamping, I covered the entire piece with VersaMark ink and then poured Ultra Thick Embossing Enamel (UTEE) on top of that. I used my heat gun to melt it. The, I put more VersaMark ink on top of that and poured another layer of UTEE on top of it and heated it again. This creates a thick, glossy piece. I then VersaMarked it again and lightly sprinkled TAC's Prisma Glitter on top and then reheated the UTEE with my heat gun so that the glitter would melt into the piece. I put the entire ivory piece into the freezer for 3 minutes and then when I took it out it was nice and brittle and I could crack it as I desired. This makes the cracked glass effect. I took a sponge with Burnt Umber Palette ink on it and rubbed it into the cracks and then wiped off the excess ink with a clean rag. The ivory piece is mounted on the green Bazzill cardstock and popped up with pop dots. Here is a close-up of what the final ivory piece looks like. The green strip that you see across the front of the card has been crimped using the paper crimper that TAC sells. I LOVE this thing!! 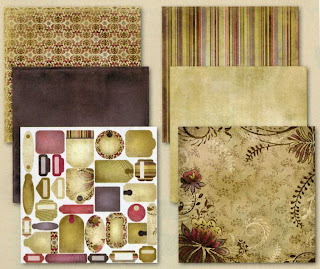 It easily and effortlessly adds texture to any card or scrapbook page. The strip is attached with Matte Heritage Mini Brads. It does take a little bit of work to make a card like this but it isn't a complicated process and the end result is awesome!! Are you still contemplating what to get that hard-to-buy-for lady person in your family? You know, the one that seems to have everything already? Well, I have an idea for you...it's homemade and it's easy to do!! I've been working on getting some candles ready for an upcoming Funshop. We're going to stamp "on" the candles. But, I also wanted to show some other ways that you can decorate candles using paper & stamps from The Angel Company and the candle pictured above (and below) is one of the ideas that I came up with. Let me tell you this was such an EASY and FAST project and it looks so elegant...and it looks like you really spent some time working on it too! How do you do this? Simple! For this candle I cut a strip of TAC's Amelia paper that was about 9 1/2" long. You may have to adjust that to the thickness of your candle. The wonderful thing about this paper is that except for the small pieces of green paper at the top and bottom of the candle, all of this paper is ONE SHEET! It looks like multiple pieces of patterned paper, but it's not..what a time saver! Like I mentioned, I did cut two small strips of the green paper that is included with the Amelia paper pack and used double sided tape to attach it to the top and bottom of the Amelia patterned paper strip. To finish the candle off, I took one of the tags that are included WITH the Amelia paper pack and used a stamp from the TAC "Trendy Tags" stamp set and stamped on the tag with Moulin Rouge Palette ink. I then took a piece of burgandy ribbon and tied it around the candle and tag and attached 2 pop dots to the back of the tag and attached it to the candle. Wa-la!! That's all there was to it! 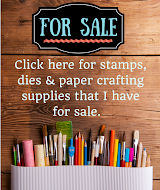 This project literally took me less than 10 minutes to make and ALL of the paper supplies that I used were included in one $6.95 Amelia paper pack and I still have lots of paper and tags left over to use on other projects! Another project that I made at a team meeting in Salina is a Amelia Ornament coaster. For this project we took a coaster, covered it with Amelia paper and then used our Coluzzle to cut out the square in the corner. We then took the Gold Leafing Pen (page 120 of the TAC catalog) and outlined the outside of the coaster and the inside of the square with the pen. We glued a piece of cardstock on the backside of the coaster and left an opening where we could slide a sentiment or a picture behind the square hole in the coaster. Then, we attached a brad with the crop-a-dile and tied a brown piece of ribbon through the hole. A fun and easy ornament to decorate your Christmas tree or shelf! Christmas is just a little over a month away and that is so hard to believe! Time has just flown. Have you started your Christmas cards yet? It won't be long until you go to your mailbox to find that your first cards from family and friends have started to arrive. It's time for you to get started on your cards, if you haven't already! Here are two Christmas cards to get your mind going. The first one is a fairly traditional colored card with snowflakes. It uses TAC's new "Ornamental Snowflake" set that was featured in the Fall Supplement. Gotta love those stamps!! 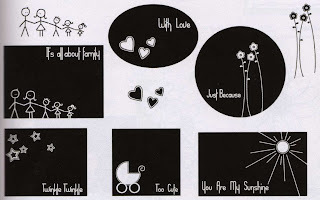 It is fairly simple but there are a few "extra" touches to make the card special. The snowflake in the middle of the card that is on the circle punch is popped up with pop dots and then I added Stickles to the center of the snowflake. Also, did you notice at the very bottom of the snowflake strip panel that there is a small burgandy piece of ribbon that I've made into a tabbed loop? This adds a little more visual interest to the card. The other card is not traditional at all but that is what I really like about it--it's bright and cheery! It uses a lot of colors that are not usually associated with Christmas--Raspberry, Orange, Periwinkle & Apple Green (these are all TAC's Matchmaker white core cardstocks). It also has a white base. I found this color combination by using my color wheel. I don't often use these colors so it was nice to find a color combo that utilized cardstock that I had but don't usually reach for. The Joy stamp is from TAC's "Simply Christmas" stamp set and the Merry Christmas sentiment comes from the "Faith Hope Love" set. I crimped the green strip with the awesome paper crimper that is also found in The Angel Company catalog and then sanded it using a sanding block to get the white that you see on the piece. I hope that this post has either inspired or motivated you! 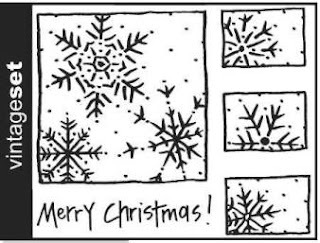 Enjoy making your Christmas cards!! These spinner cards are so much fun to make! This one is for my parent's 35th wedding anniversary that was yestserday. The wedding cake spins across the card--it's so much fun! I colored the cake with gelly & souffle pens and then added stickles to the tops of the flowers. The paper is TAC's Mimi collection and black bazzill. The stamps that I used are So Girly Swirly, Everyday Events & Trendy Greetings. These are so much fun and really quite easy to make!! I am so excited to share with you about this upcoming class! I was asked to teach a class at the Inman Wellness Center in November and I decided we would make an Advent Calendar. These are so much fun and I think that you'll enjoy putting this project together! This is made with a cookie sheet, scrapbook paper (non-TAC), rubber stamps, ribbons and embellishments. The calendar is magnetic so as you count down the days until Christmas with your children or grandchildren you can then store the "extra" days on the back of the cookie sheet! Even if you don't use this as an advent calendar, it would still make a fun Christmas decoration or you could give it as a gift! The class will be November 20th from 6:30 PM until 9:00 PM at the Inman Wellness Center. I believe the cost of the class will be $15 for both members and non-members and you can register at the Wellness Center or call 585-2050. There are only 6 spots available, so don't wait to register! All supplies will be provided. New TAC Discontinued List is Out! A new catalogue will be out January 1st and that means that it's time for a new discontinued list. There are a lot of stamps that will be retired and we'll never see again! Boo hoo!! 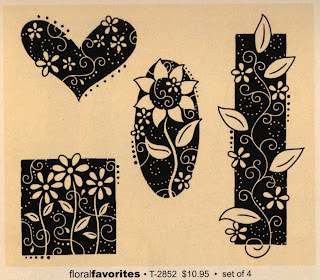 One of my absolute favorite stamp sets is being retired too..."Love & Joy". The Final Farewell list is above and if you click on it you should be able to view the document at a larger size. These stamps will only be available until the end of December so be sure to check the list twice to make sure that you don't miss some of your favorites! 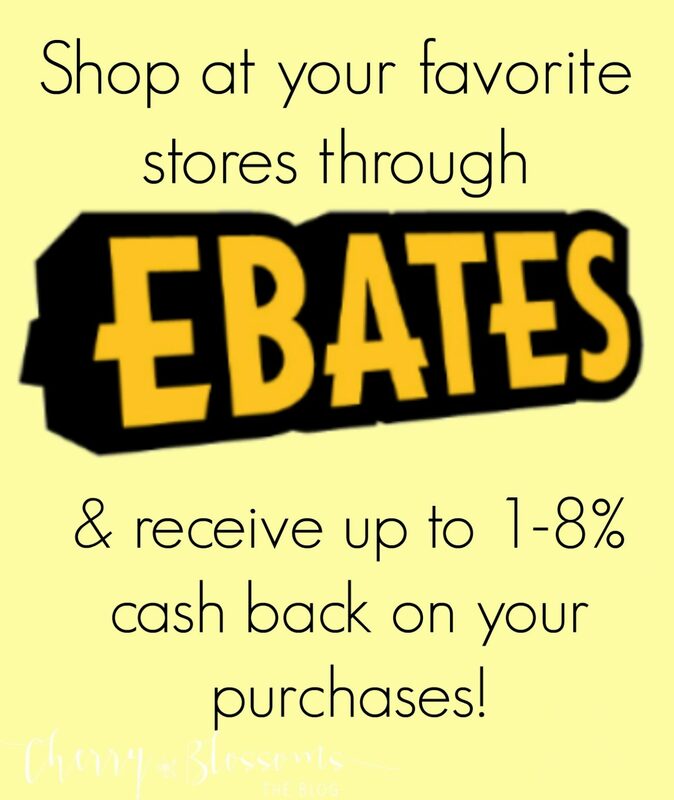 Enjoy shopping and let me know if I can answer any questions or help you with an order! I wanted to share with you a tin full of tags that I made. I love the colors of these tags and they can easily be fastened to a gift box or bag. I used a scalloped punch (not currently available through TAC) and 2 sizes of circle punches (that I use ALL the time--SO worth the investment!!). After punching the circles, I stamped a snowflake with Aquatic Splash VersaMagic Chalk Ink in the center of the white cardstock and then added the "to/from" with Burnt Umber Palette ink. I also outlined the white circle with the Burnt Umber ink too. Next, I took my white Souffle pen (another item I use constantly) and put little white dots on each scallop and then attached a gold thread through the top of the tag. I tied a brown ribbon around the tin to make it look gifty. There are 12 tags in the tin. Edited to Add: These tins are available through The Angel Company's catalogue. They are cheap too! You get a pack of 4 tins for only $4.95!! 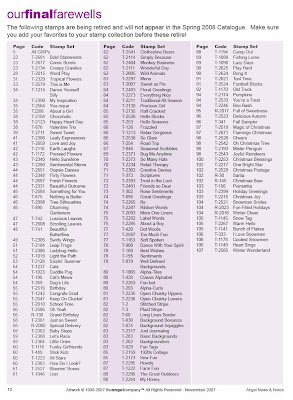 Each of the stamp sets are from the current Angel Company catalog and are listed below the card. If you are interested in placing an order, send me an email! During the month of October, you earn DOUBLE Gift With Purchase stamps with your order. So, for every $30 order, you get to choose TWO FREE Gift With Purchase stamps! And, Grab Bags are still available while supplies last! I told you several posts ago that I would share some more of the altered frames that I made for my craft fair. Did I mention then how much fun (and easy!!) these are?! I used The Angel Company's paper to alter these after I first painted the frames white. The frame pictured above is my favorite one!! 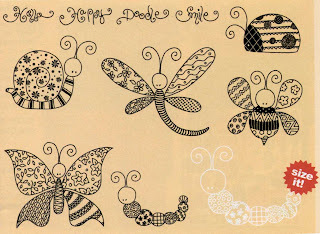 It is made with TAC's Toodle Loo paper and would be great for a baby or toddler's room! The tag (you can see a blurry close-up below) was a tag that was provided with the paper kit and then I stamped the Lion from the "On Safari" set, colored his mane and tail green with aquacolor crayons and then added the white dots with a souffle pen. It matches the lion in the paper pack perfectly and looks like it was printed directly onto the tag. The next frame uses the TAC "Hip Hop" paper pack which has some great papers in it! The small square tags are included in this paper pack as well and I inserted black brads into the centers and popped them up using pop dots. The yellow strip has been crimped with a paper crimper to add even more dimension to the frame. All of these frames have been Mod Podged over the top to seal it and give it a protective coating. And, how can you not love the paper used on the frame below? This is from the "Mimi" collection and I think it is beautiful! I cut the paper into strips leaving white edges and added a few embellishments to dress it up. The original design for this frame and the Toodle Loo frame pictured above came from a demo at seminar. I took her design and ran with it because I thought that it was so adorable! These would make great Christmas gifts for family and friends (or for yourself!!). All you need is a frame, some white paint, adhesive and some TAC Patterned paper! I will note too that if you use a frame that has been painted on previously, depending on the finish, you may need to sand it down and then paint it white to give the paint a little grip to stick to. If you use an unfinished wood frame it is ready for you to paint directly on. Wow! There is a lot going on at The Angel Company this month! Are you ready? First, it's DOUBLE rewards month for hostesses and customers! Hostesses earn double FREE hostess sets and twice the number of 1/2 price items! This is the perfect time to host a FUNshop (think of all those Christmas gifts you still want to make and/or give!!) and get lots of great deals!! And, for customers, with every $30 order you will receive TWO free Gift With Purchase stamps! Also, during October is a returning customer favorite...TAC Grab Bags! These are bags that are filled with miscellanous stamps and they each come with one sheet of cling to attach the stamps to. These are fun, fun, fun but are only available during October while supplies last. 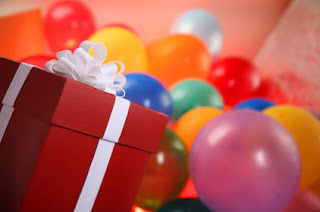 And, if you host a FUNshop during October, you'll receive a FREE GRAB BAG with a $250 show! WOW!!! The Fall Supplement is here! 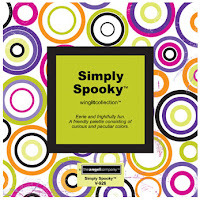 If you are looking for fresh Christmas, Halloween or Autumn stamp sets, look no further than the Fall Supplement! I LOVE the new "Ornamental Snowflakes" set! It is gorgeous! And, check out these "Trendy Tags" (pictured below). This is a fun way to dress-up your Christmas packages! It is called "Days Like This" and is a set of 5 for only $5.95. It is available with a $30 purchase. 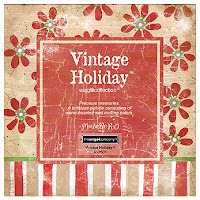 Also, new this month is a new promotion called "Vintage Sets". Each month, in honor of TAC's 10th birthday, a new set will be released that was a best seller in a previous catalog. 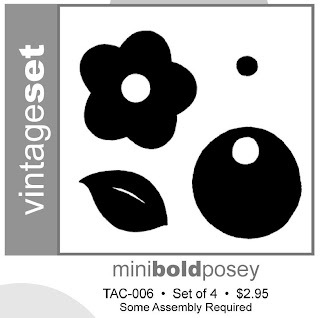 This month's set is called "Mini Bold Posey" and is only $2.95 with a $30 order. 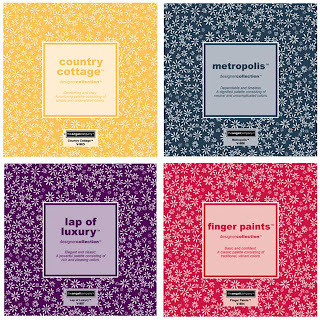 There are several sets of the Designer paper packs on sale for 50% off while supplies last. 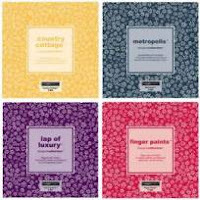 They are Fingerpaints, Country Cottage, Metropolis & Lap of Luxury. 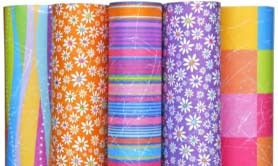 This makes these packs of 36 8x8 pages only $3.50 each!! And, last but not least let me present the "Crazy for Color" promotion! This is an awesome special! During October, let autumn return in a rainbow of colors! 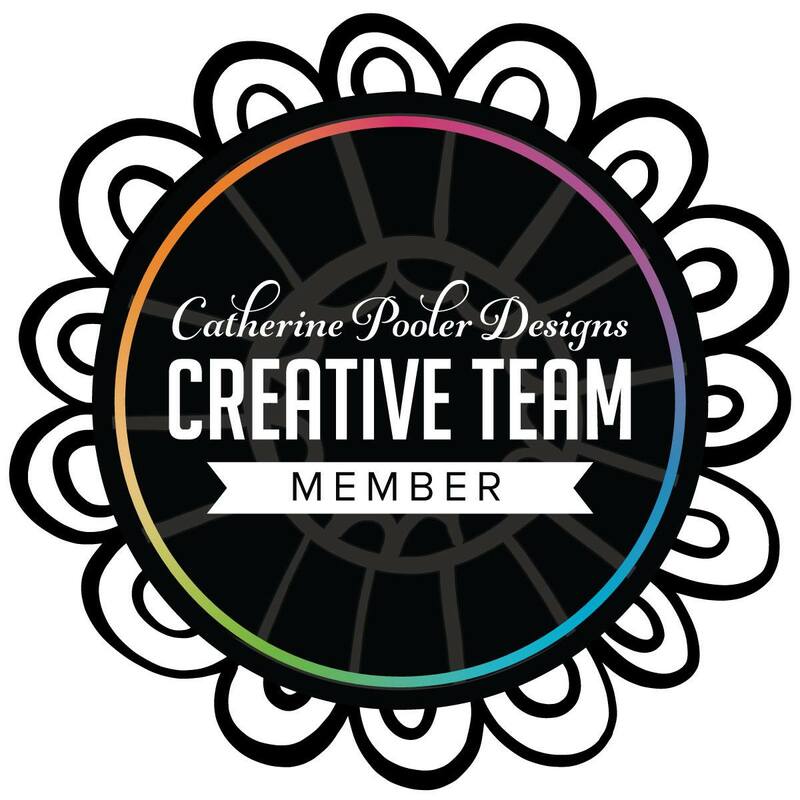 You will have the opportunity to create brilliant, vivid projects from a rainbow assortment of printed papers! 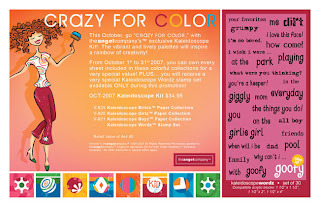 This kit includes 3 paper packs (Kaleidescope Brites Soar With it Collection, Kaledioscope Girlz Wing it Collection, Kaleidoscope Boyz Wing it Collection and a fun, exclusive word stamp set that is only available as part of this collection during October. This kit can be yours for only $34.95! 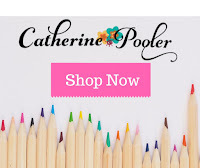 If you love to scrapbook this is perfect for you! Or, if you like bright colors, you'll love this kit!